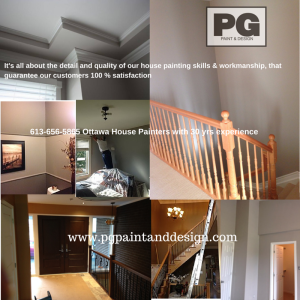 Drywall Repairs, Stipple Ceiling Repairs, Repaint, sanding, priming and painting, are just a few of the home services by PG PAINT & DESIGN – Ottawa’s professional experts for all interior and exterior house painting. We ensure every step is followed to guarantee you a quality end result and 100 % customer satisfaction. Moving Furniture, water leaks that end up ruining the ceiling and or walls, or even just the everyday wear and tear a family can do to to the walls, with scuff marks, or door push creating a doorknob crack or hole in the wall. A bathroom/toilet leak can create damage to your ceiling whether it’s flat or stipple ceiling, the same procedures apply. 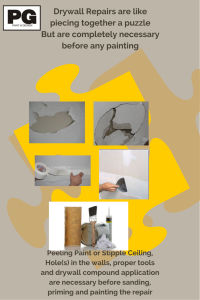 The damaged area has to be treated with drywall repair, or replacement, taping, mudding/plastering, sanding, priming and painting to get the perfect end result from a professional house painting contractor. 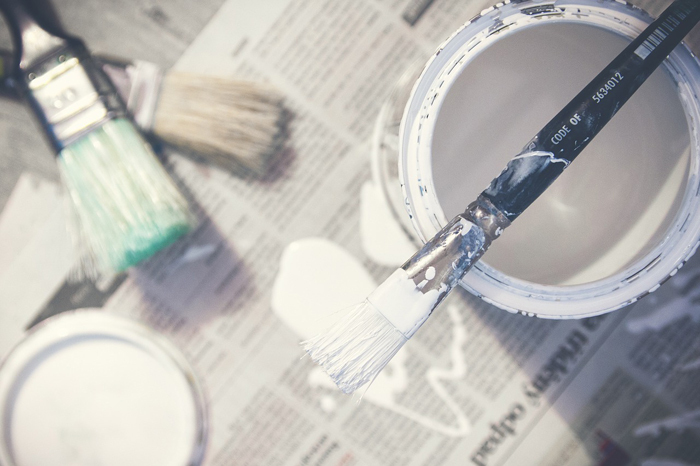 Calling a professional painter will alleviate the headaches you may have if you try to do just a touch up job. Just a touch up job is not as simple as you may think. There are variations in paint colors when there’s been some time that has passed since you last painted. You may still have the original paint can of the colour on your walls or ceiling but over time, the pigmentation of the original paint changes. For one, most importantly as time passes your walls, ceilings etc. have been exposed to sunlight, fluorescent lights and just the everyday things we do in our homes like cook. Over time of course the pigmentation of that paint changes, when you go to apply the “touch up” brush in just that space that you believe needs it, what happens is you can really notice the difference in colour. You can actually see the new paint brush stroke on the old paint. Interior or Exterior painting touch ups work the same. If you’ve nicked your front door paint it’s not always a quick patch up paint job. You will be able to see the difference in the paint colour shade between the old and the fresh coat of paint being applied for the quick fix. 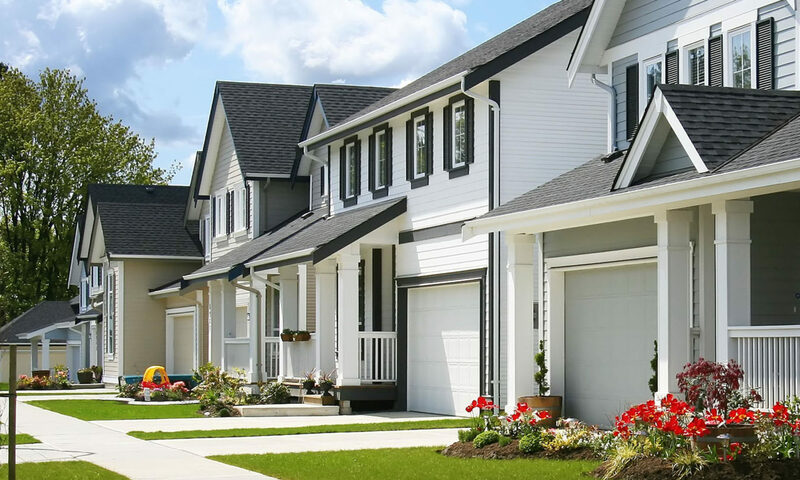 A true professional painter will always recommend what’s best for the situation, and the best way to do it is to assess the damage, give you a full explanation to what can or cannot be repaired and be able to provide you with a complete step by step process and why they choose to do that route. It’s not always because the painter is trying to pull the wool over your eyes 🙂 but is offering their expert opinion and years of experience for you to have the best quality workmanship results and customer satisfaction experience. Now, you may be asking yourself, “But what if I get a colour match and a brand new can of paint?” That’s definitely a better option than using old paint. But the fact is that even if you use the latest paint-matching technology, the sheen will be off, making your touch-up stand out just as much or as badly as if it was a different color. Join us on all our Social Sites You’ll find us on Facebook, Google +Plus Pages, Twitter, Pinterest andHouzz.